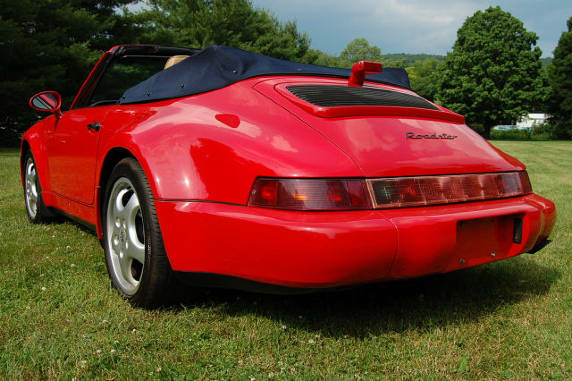 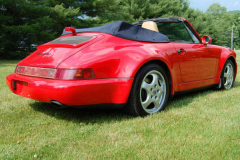 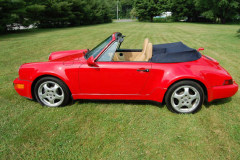 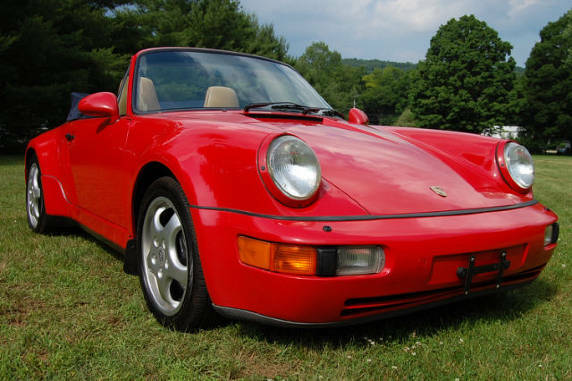 1993 Porsche America Roadster. Guards Red with tan interior. This is a limited production model of which only 250 examples were produced. 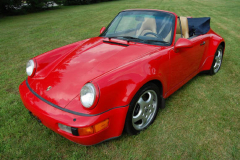 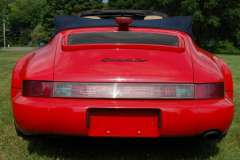 This special model has the Turbo Look body along with the Turbo brakes and suspension. 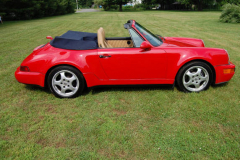 It also has a full leather interior. 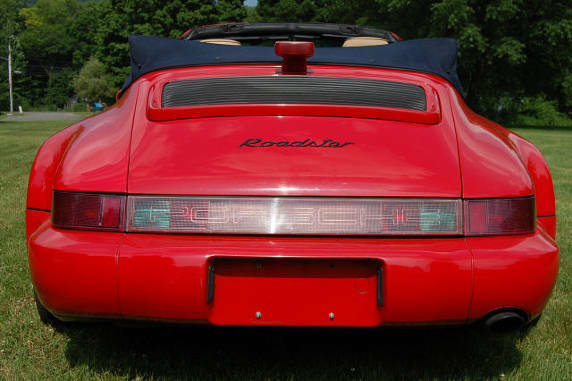 The factory fitted 17 inch cup wheels as well. 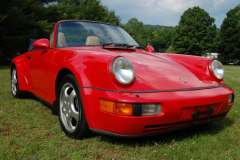 The car has the following options 437,438 which is left and right comfort seats, 454 automatic speed control, 249 which is the Tiptronic transmission which can be operated in either shifting or automatic mode, just like most newer sports cars. 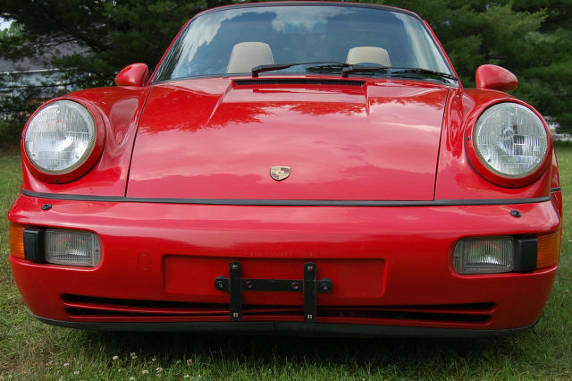 I have had several Porsche cars featuring this option, it really works very well. All new Ferrari cars come with this type of transmission (of course they call it something else) The car has 121,000 Miles, it looks like it has far fewer Miles, the car is very clean and nice. It has been very well cared for, it looks and runs very nicely. Here is a chance to acquire a very rare and special car.